Something a little different here on Loads of Lifestyle Blog today! I want to start doing more lifestyle related posts, and really grab the whole 'lifestyle blog' title in full! 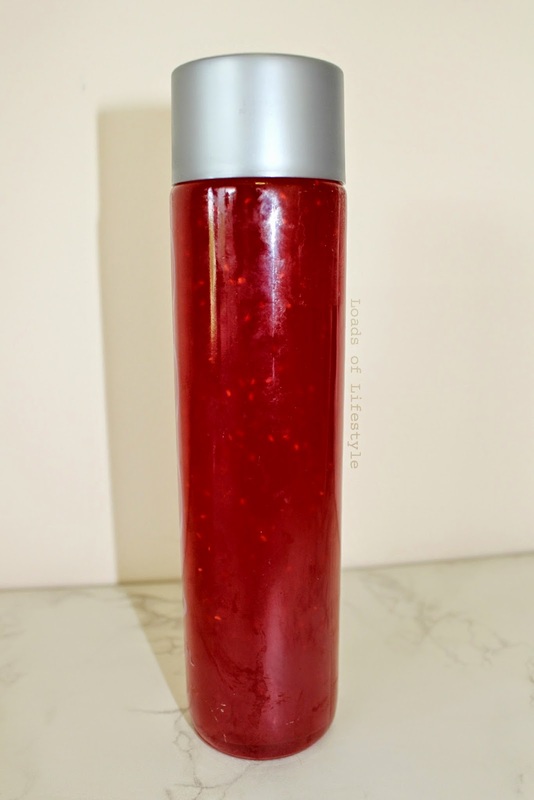 So today I am going to show you my recipe for a wonderful Raspberry Lemonade Cordial! I made this as a gift for a secret santa at christmas time last year. It went down a treat, and is something different! Place all ingredients in a large saucepan on a medium-low heat and stir to combine. 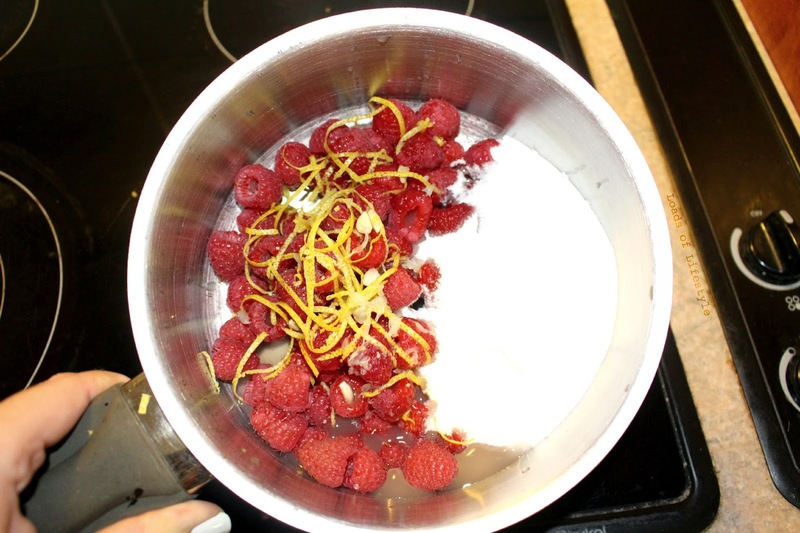 Continue to cook and stir until the raspberries break down and release all their juices and the sugar dissolves (roughly 5-10 mins). Remove from the heat and push through a fine sieve into a clean saucepan. Use the back of a spoon to push as much of the pulp through as you can! You want every last drop!! Return to the heat and boil for about 3-5 mins until the syrup has thickened slightly. Carefully pour into a sterilised bottle and seal. Let the bottle cool a little before putting into the fridge to chill. Once opened, keep chilled and use within a month. Its ready to use once chilled. You can use it as an ordinary cordial base and mix with chilled water, lemonade (sprite) or mineral water. OR my personal favourite option, add some vodka or white rum and make into a cocktail or punch! This recipe makes roughly 400-500ml and you can adapt the recipe to make a larger quantity. You could also use this as a base recipe and swap out the raspberries for blueberries or strawberries, or even a mixed berry combination. 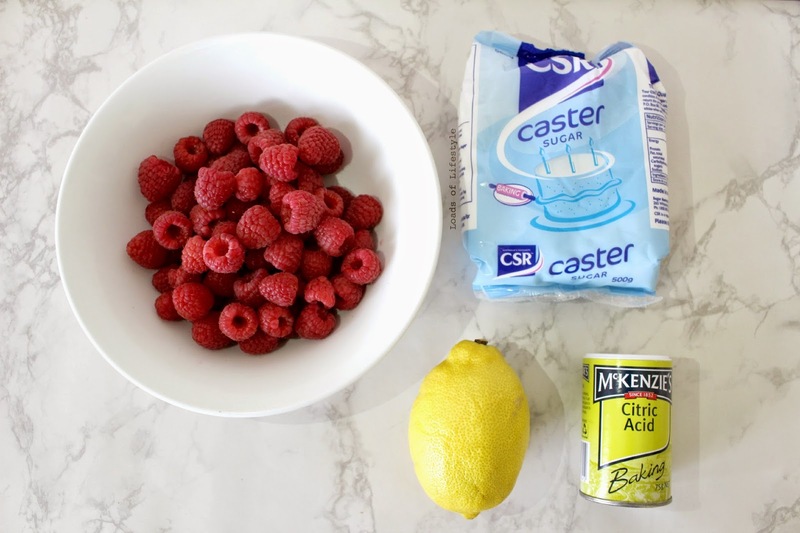 It is a little tart, but it all depends on the raspberries! If you use frozen ones, you it will probably be tart, but if you get fresh ones in season, they will be a little sweeter!! You can always adjust the sugar levels as well to make it sweeter, if that what you like!